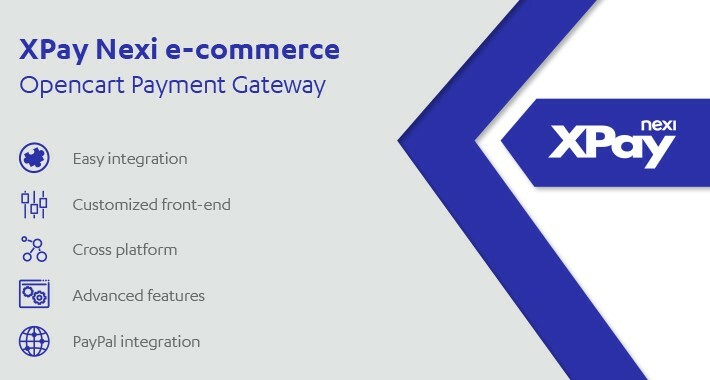 This module allows you to connect your e-commerce site to the XPay payment gateway. XPay is the Nexi service created to accept online and mobile payments in a simple and fast way. 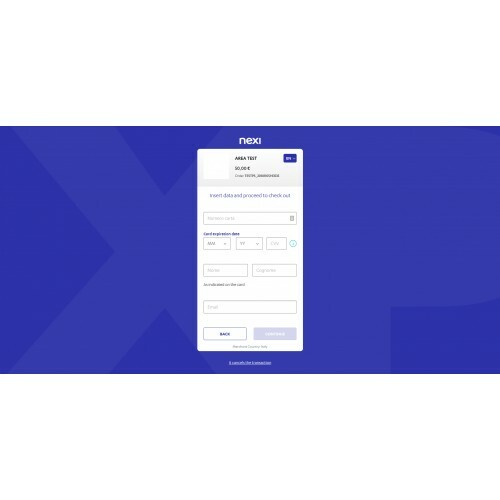 XPay is the payment gateway of Nexi, a leading group in Italy with the aim of building the future of digital payments in Italy. Nexi starts from a solid positioning on the market, which allows it to manage 44 mln payment cards, transactions for 186 bln Euro, and 860 thousand participating points of sales in Italy, including over 18 thousand e-commerce shops. XPay allows you to accept online payments. It is open to international schemes of payment and it is suitable to handle all sale channels (e-commerce, mobile, email). XPay’s payment extension for OpenCart, allows you to integrate the XPay payment gateway without further implementation on your site. It manages the transfer of the customer from the merchant’s e-commerce site to the secure Nexi environment, and back again. The customer remains on the merchant's e-commerce site until the point of checkout, then is redirected to the secure Nexi environment to make payment. You do not have to manage any kind of sensitive data. The extension is constantly updated with XPay evolutions and improvements. To use the extension, you need an XPay account: you can get your account easily and completely online on https://ecommerce.nexi.it. The extension is free, but to use XPay you have to pay a service fee. 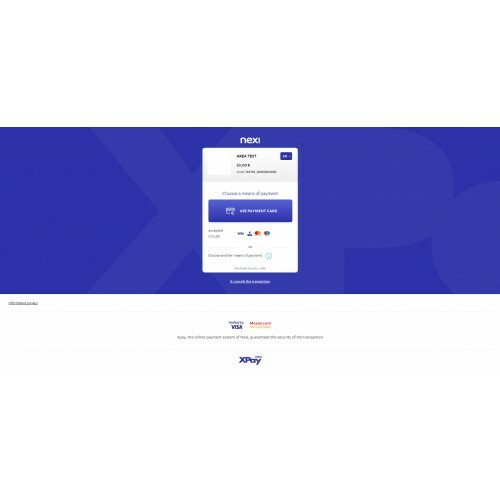 You can find XPay price on https://ecommerce.nexi.it/scelta-prodotti. Simple Payment: redirect the customer to the secure payment gateway of Nexi. Transaction management for Visa, Mastercard, Visa Electron, V-Pay, Maestro, American Express, Diners international schemes. Acceptance of alternative payment systems (PayPal, Amazon Pay, Apple Pay, Google Pay, Klarna Paga Ora, Alipay and WeChat Pay). Test area: allows you to test the correct operation of the module, using test parameters and cards, without having to make real transactions. The features listed above are available based on the type of contract signed with Nexi.